Consider that there are over 30 types of virus and malicious threat such as Resident Viruses (Randex, CMJ, Meve, and MrKlunky), Multipartite Viruses, Macro Virus (Relax, Melissa.A, Bablas, O97M/Y2K), Worms (PSWBugbear.B, Lovgate.F, Trile.C, Sobig.D, Mapson), and more that could cause computer face threats. For extra security protect the computer from threat is undoubtedly is the best advice. Malware Hunter Pro from Glarysoft is a powerful and all-in-one security software for PC that designed to provides comprehensive protection against all types of threats, eliminate potentially dangerous files to keep PC free from viruses. Malware Hunter Pro features to boosts PC speed and fixes frustrating errors, crashes, and freezes. In addition, the program also comes with one-click functionality and over 20 premium support tools to enhance PC performance. 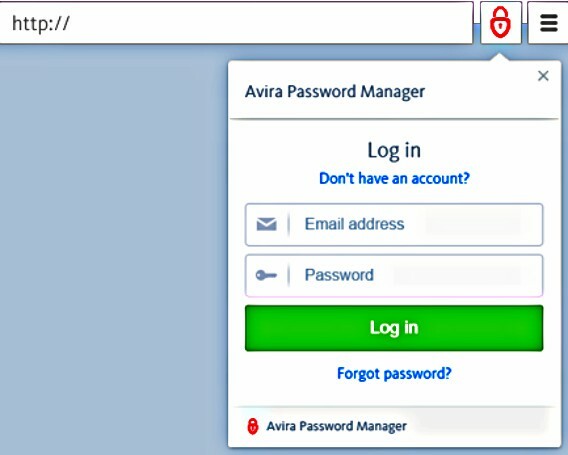 Avira Password Manager is a new era security tool and service from German company Avira that features for generate, store, and manage website password logins, allow user easily save the login credentials so that user do not need to memorize password or write them down on paper when manage more than one account. Avira Password Manager able to generate strong and secure password by user preferred rules, including length, numbers, and special characters for various websites. The program will saves login credentials (email addresses, password) over the Avira servers in the encrypted format, and then allows auto-fill the login credentials for login websites. Besides that, Avira Password Manager also can import previously saved login credentials from other apps or extensions such as 1Password, Dashlane, RoboForm, KeePass, Lastpass, PasswordWallet, and CSV files. Avast Internet Security is a comprehensive security software for Windows operating system that provides additional protection to keep PC safe and running smoothly from viruses, spyware, infected web sites, identity theft, and other types of malware. Avast Internet Security comes with advanced features and various scan modes such as antivirus, anti-spyware, anti-rootkit protection, firewall, antispam, avast! 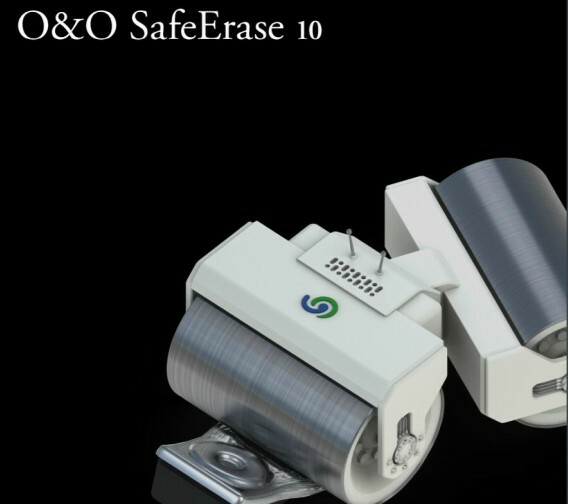 SafeZone, and new hybrid cloud technologies. Avast Internet Security provides real-time protection and protect email through the Antispam module. In addition, avast! SafeZone feature will creates a private and isolated virtual window when shop or online banking for secure financial transactions and Boot-Time mode for scans the operating system right before startup to make sure clean all infected files. 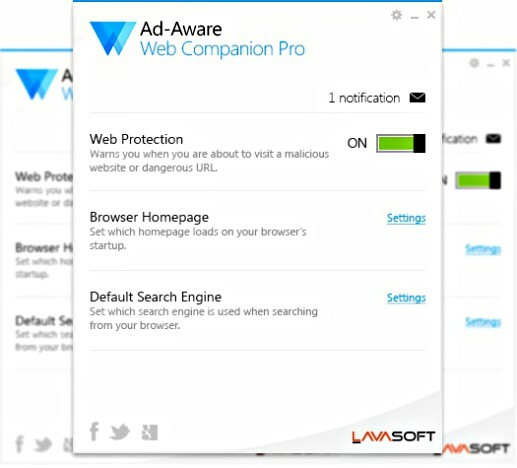 Ad-Aware Web Companion Pro from Lavasoft’s Malware URL Blocker is an advanced security tools for additional layer protection against Internet threats such as malware, phishing sites, hackers, and etc. Ad-Aware Web Companion PRO provides real-time filtering technology to detect and blocks harmful websites, without slow down the system performance. Ad-Aware Web Companion Pro interface divide into 3 sections – Web Protection feature to warned user when visit to malicious website or dangerous URL, Browser Homepage for user create home page loads when launch browser, Default Search Engine for setting browser use specific search engine that user preferred. The most attractive feature, Ad-Aware Web Companion Pro is compatible with all browsers with no information or private data are tracked or logged. In addition, the program also offers Phishing protection and blocks browser hijacking attempts. 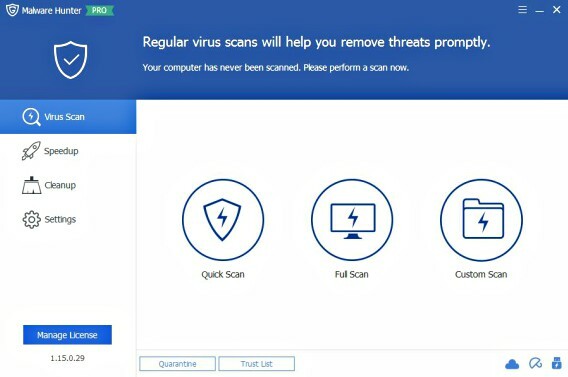 Zemana AntiMalware Premium is an advanced and efficient malware security software that adds additional layer of security to PC by provides proactive protection defeats viruses, trojans, browser add ons, and other types of malware. 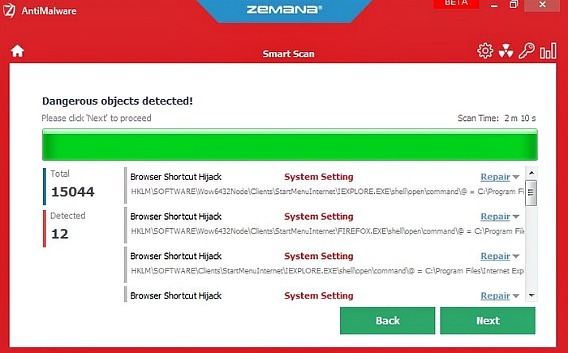 Zemana AntiMalware Premium is different with free version which provide real-time protection with its unique technology – Pandora Real Time Sandbox Technology and File Reputation Service to increases zero day malware defect. In addition, Zemana AntiMalware Premium also compatible with any others Antivirus, antispyware, or firewall. Steganos Online Shield VPN is a powerful utility tool that provides protection security for personal data to Windows and Android users while online or visit websites and social networks. With Steganos Online Shield VPN data encryption feature, it can protecting user from intruders and access the internet free of hackers and malicious when using public Wi-Fi networks. The program can identify all devices on Wi-Fi network and block potential threats to read user messages and emails. Steganos Online Shield VPN (Virtual Private Networks) also feature help user access to any website or service that restricted and completely hiding their identity. Steganos Online Shield will prevent social networks tracking such as Facebook and automatically delete cookies. 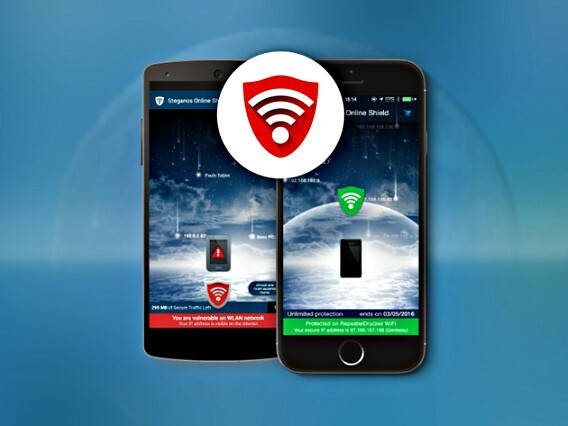 To activate Steganos Online Shield VPN, simply drag the red shield up, if the network provides risks, the program warns of the risks with messages and changes the shield colour as an alert. Steganos Online Shield VPN allows user connect up to 5 devices (PCs or Android devices) simultaneously with single license. Zemana AntiMalware is an advanced and lightweight security application that designed to rescue computer from malware such as viruses, trojans, rootkits, etc without slow down the computer performance. Zemana Anti-Malware compatible with multiple anti-virus brand to dramatically increase security, stability, and protection to computer. Zemana Anti-Malware uses cloud technology to provide second layer security protection. Detect infected files will be upload to the Scan Cloud repository for further scanned and analysed. 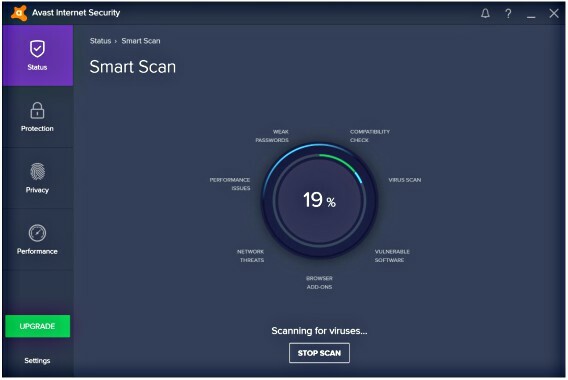 Even though, the security software no feature real time scan, but it provide schedule scans mean that user can set scan method, day, and time of the scheduled scan.